Acceptable Answers (greyboards) is a project that took inspiration from The Road by Cormac McCarthy and some worries about over-population, climate change, economic collapse. The quote above was taken from a Green Party UK manifesto publication. I am less interested in the words of Garrett Hardin now than I was before. The texts were written between 2001 (I think) and 2009. The were first printed in 2008 and 2009 as a series of thirteen; rubber stamp on found greyboard; each an edition of 10,000. The series was first exhibited at EASTinternational 2009. 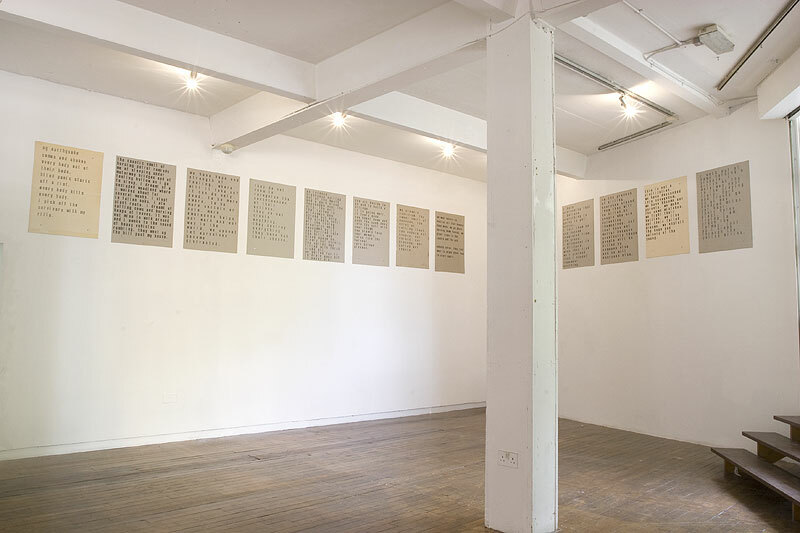 They have also been exhibited in The Space Between Surrounds Our Desire, curated by Mona Casey for The Event in Birmingham 2009, and at Total Kunst in Edinburgh in 2010.